National Anti-Profiteering Authority (NAA) dismissed application alleging a violation of provisions of Section 171 of CGST Act, 2017 by Respondent, observed that Respondent reduced the base prices of products (“Bathing bar” and “Instant Drink Powder 50Gms”) to maintain the same MRP (Pre-GST MRP) inspite of increase in tax rate. It noted that actual pre-GST tax rate on the products was 14.5% (Nil Central Excise Duty+ 14.5% VAT) in the case of “Bathing Bar” and 16.5 % (2% Central Excise Duty + 14.5% VAT) in the case of “Instant Drink Powder 50 Gms”. Noting that the Respondent was procuring both the products on an interstate basis from their sole vendors and the tax liability had increased by 3.5% post-GST from 14.5% to 18% w.e.f. July 01, 2017, NAA observed that “therefore, he had suffered a loss on the supply of both the products in question”. 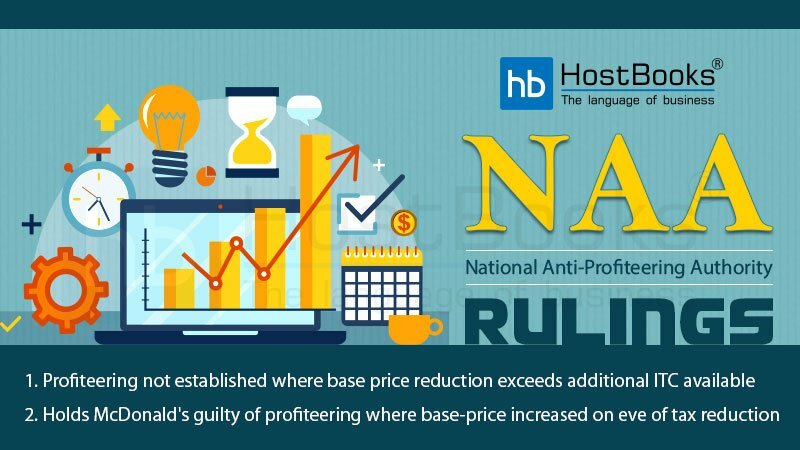 Specifically in respect of “Bathing bar”, NAA observed that “since the reduction in the base price is more than the additional ITC eligible thereon, the allegation of profiteering is not established”. 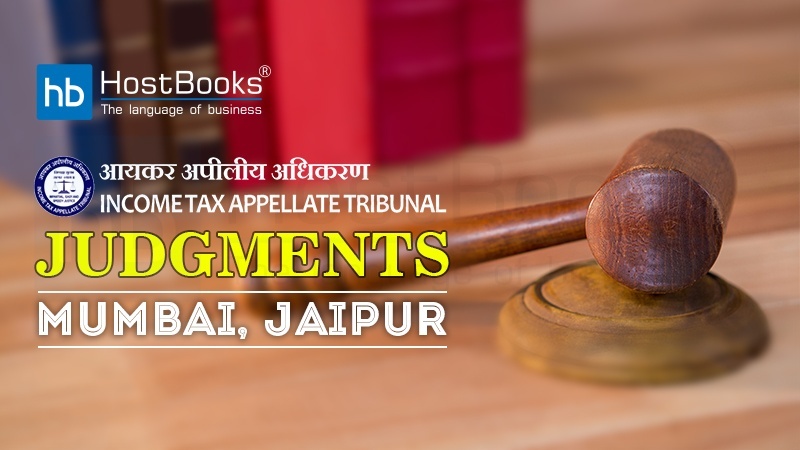 Thus, NAA concluded that “it is clear that the Respondent has not contravened the provisions of Section 171 (1) of the CGST Act, 2017 and the allegation of profiteering is not established”. National Anti-Profiteering Authority (NAA) found a case of profiteering u/s 171 of CGST Act, 2017 by Respondent, operating restaurants under the brand name ‘McDonald’s’, observing that base price was increased despite the reduction in tax rate from 18% to 5% w.e.f. November 15, 2017, vide Notification No. 26/2017 – Central Tax (Rate). 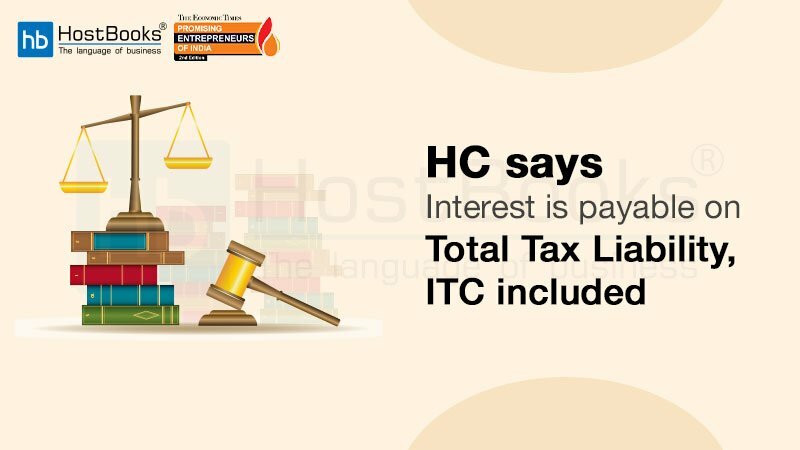 It found Respondent’s plea that prices were required to be revised due to sudden denial of ITC as there was a significant change in costs, absolutely wrong while noting that Respondent overnight increased prices from November 15, 2017, which was exactly equal to the amount by which tax had been reduced and same MRP was charged. It stated that Respondent claimed benefit of ITC as per TRAN-1 statement as well as GST-3B returns filed for period July 2017 to November 14, 2017, which was also required to be passed on to the customers, while elucidating that merely charging GST @ 5% w.e.f November 15, does not amount to passing on benefit of rate reduction to customers. It stated that, “Respondent is trying to confuse the issue by comparing the incremental revenue earned by him with the amount of profiteering”, further expounded that, Respondent himself admitted that DGAP calculated ratio of Input Tax Credit denial to total taxable turnover as 9.11% whereas it was 9.43% as per his own assessment and he had profiteered by 0.32% which demolishes his entire defense. 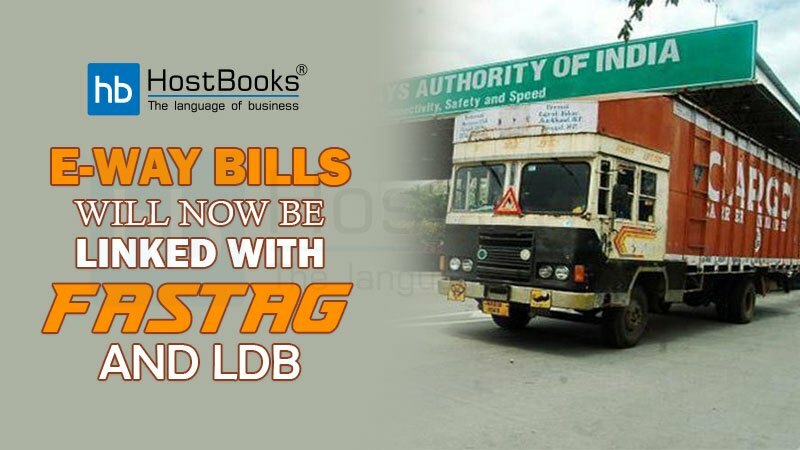 It observed that amount of profiteering by DGAP cannot be described as minuscule as it has been earned by fleecing millions of customers, rejected Respondent’s averment regarding excessive delegation to Authority for framing methodology and contention that no methodology has been prescribed under CGST Act/Rules. 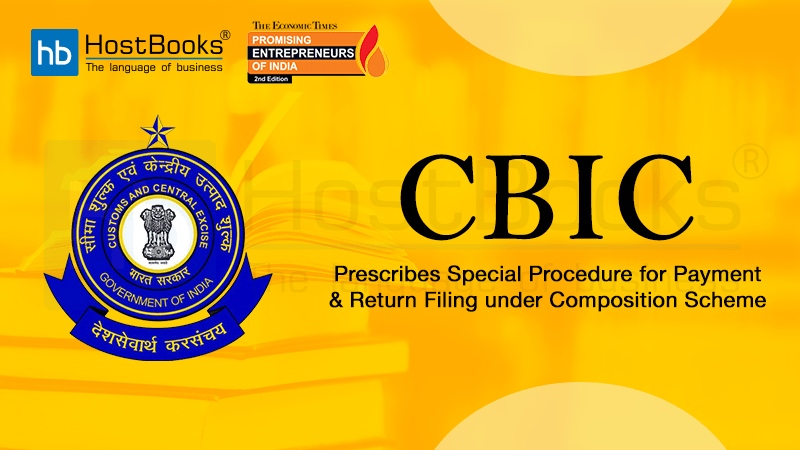 It remarked that Authority has already promulgated the “Methodology and Procedure” vide Notification dated March 28, 2017, which is prominently displayed on its website, further, opined that “benefit is required to be passed on at the product level as the recipient would be different in each supply of the product”. Moreover, issue of market conditions, demand and supply and rising/falling input costs are not required to be taken in to account while determining the amount of profiteering and Respondent cannot arbitrarily raise prices on intervening night of 14th /15th November by 10.45% (average) and he could have very well raised prices anytime between April 1, 2017 to November 14, 2017, which he had not done. 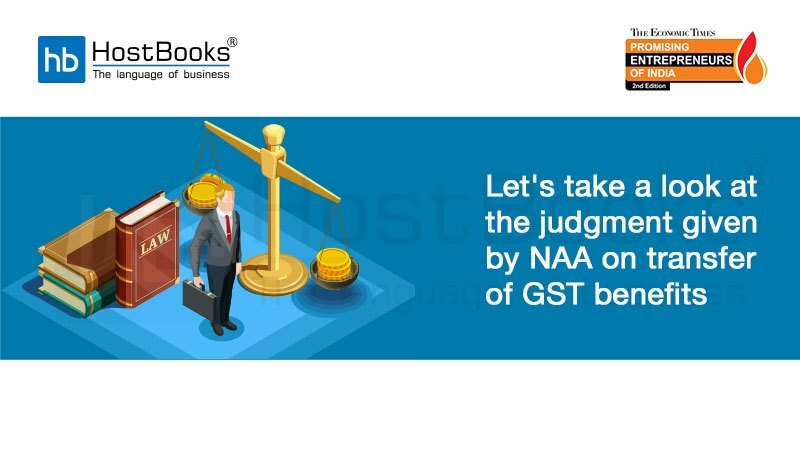 Consequently, the NAA directed deposit of amount profiteered as per provisions of Rule 133(3)(c) in the ratio of 50:50 in the Central or State CWFs of all 10 States along with interest at 18% while holding Respondent liable to penalty u/s 122(1)(i).